Mcdonalds Monopoly is back! 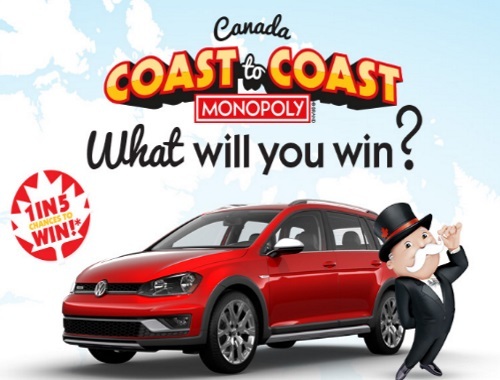 There is a 1 in 5 chance to win prizes including a 2017 Volkswagen Gold Sportswagen, $2000 Hudson's Bay gift card, dream vacation from Travel Nation Canada and more! Click here to download this year's game board and collect game pieces to collect properties, the game board is also available at restaurants. There is also an online tool too to help track your collected pieces. Contest closes November 14, 2016.